I can honestly say this was what I was most looking forward too. 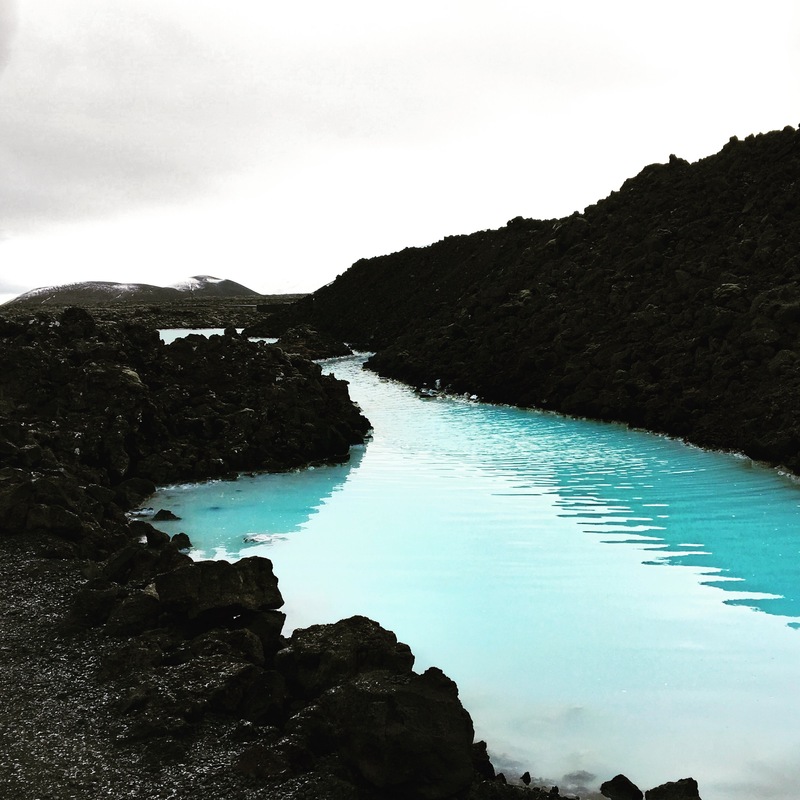 When you see photos of Iceland you are guaranteed to see photos of this beautiful blue water surrounded by black rocks. 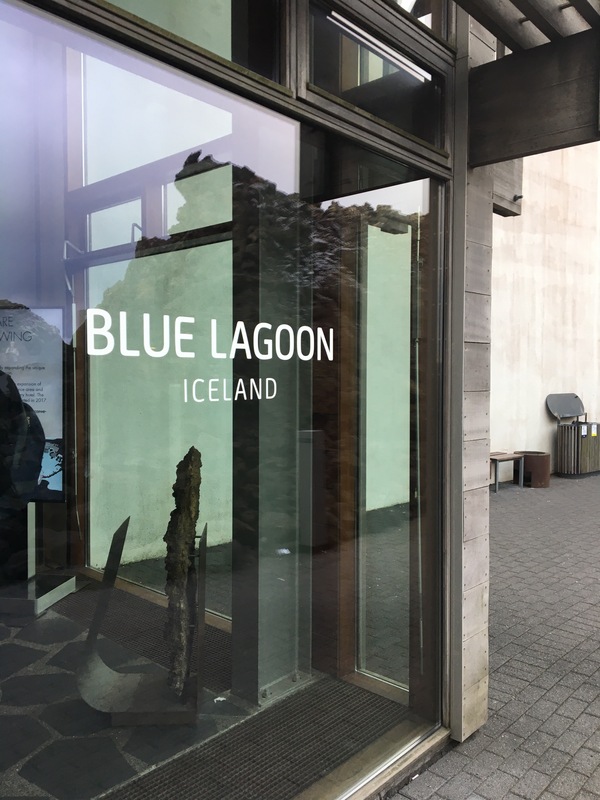 We booked and paid for the blue lagoon before we went to Iceland. The cheapest package you can opt for costs 6990 isk which is the equivalent of about £50. 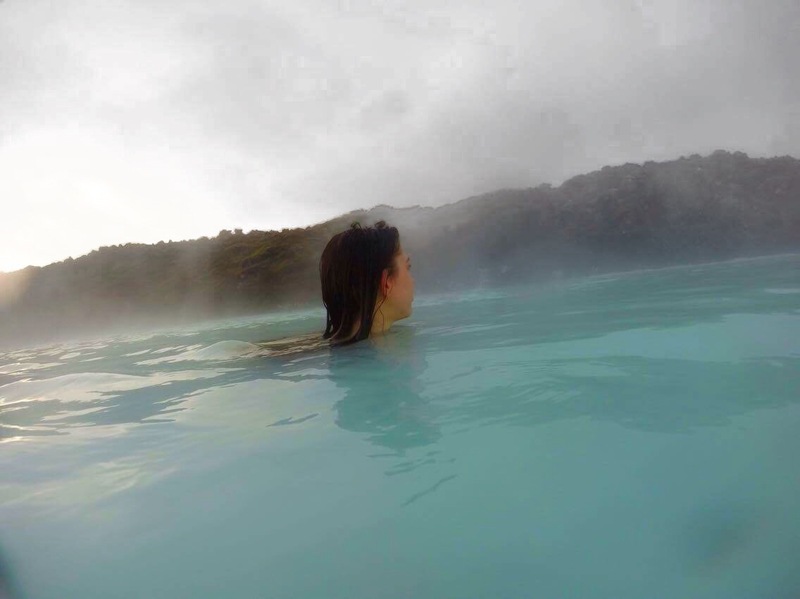 This included, transport by coach there and back, entrance to Blue Lagoon, use of a towel, silica mud mask and 1st drink free. We opted for the next one up- at 9990 isk which was about £71. 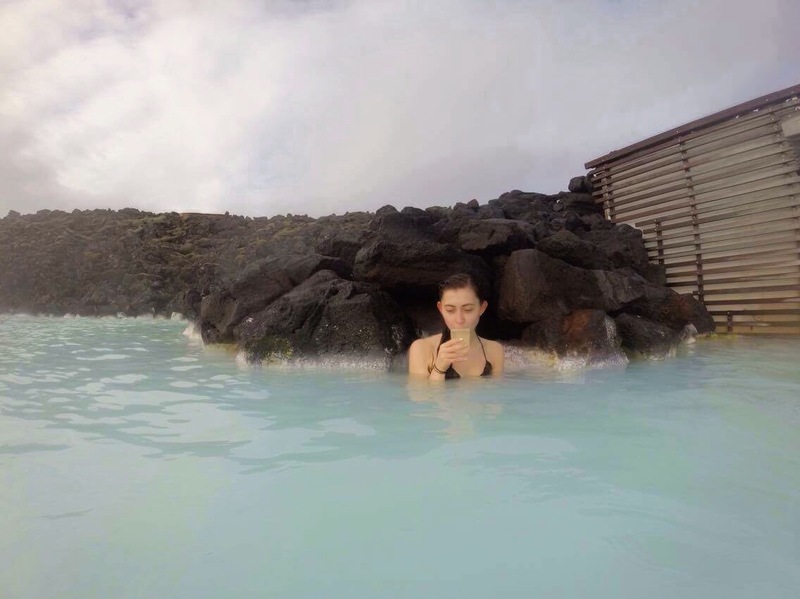 It included all of the above, but also had: Algae mask, bath robe, slippers, an optional reservation at the Lava restaurant and sparkling wine if you do end up dining there. 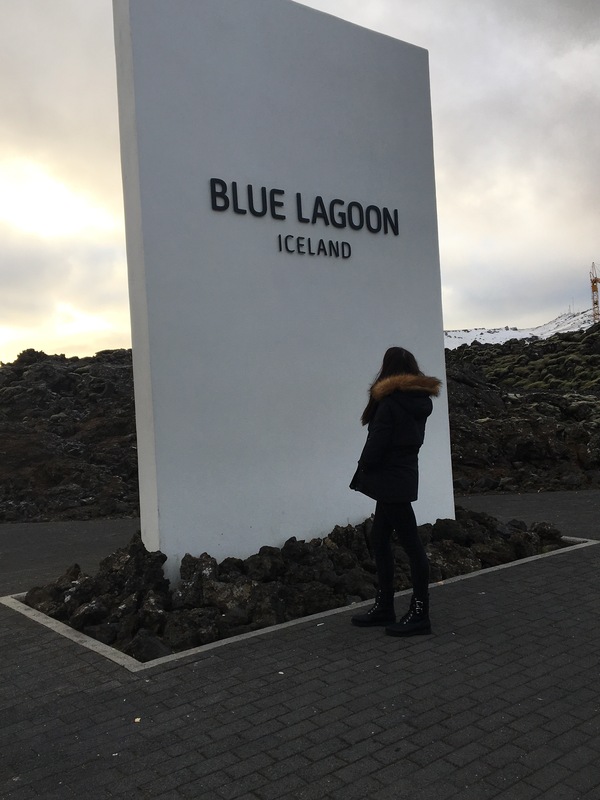 The trip to Blue Lagoon didn’t take too long and the views were amazing. We departed the coach outside the front and I couldn’t help but get a photo in front of the sign. We had to join a queue to get in but luckily it didn’t take long to go down. Whilst waiting there were tips on what to do before you go into the water. For example, remove all jewellery. Very important! I left an earring in my cartilage and got a massive infection! So take jewellery off. You must completely remove all clothing and shower naked before you enter, showering in your bathing suit is a no. 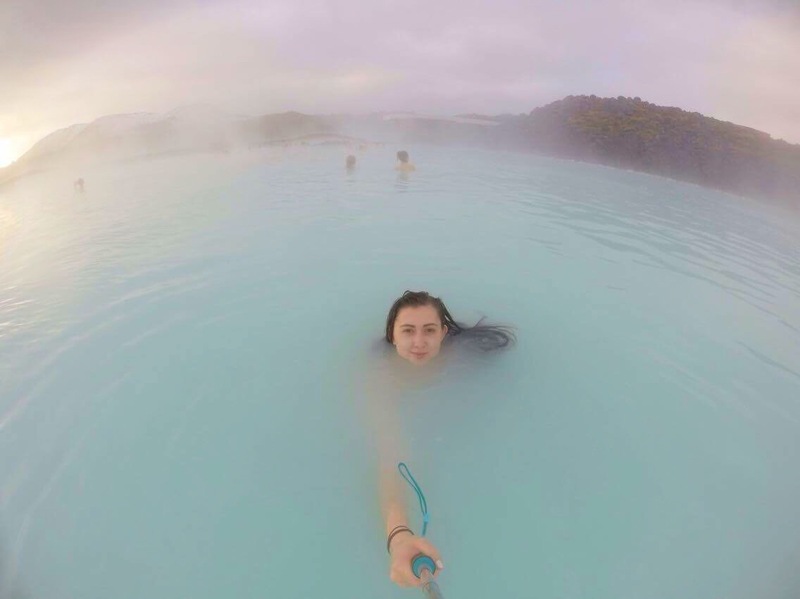 Another big suggestion was to avoid putting your hair in the water. Or if you do, put the conditioner they provide in your hair before you go in. I opted to go with the conditioner. But in theory I should’ve just tied my hair up- your head gets a little cold from the wind if your hair is wet! We showered, got our towels and headed outside into the cold. We took the opportunity to take some photos before we got in. The temperature of the water was a nice change from the cold- we headed straight for the in pool bar to get our free drink and of course, prosecco was the choice. 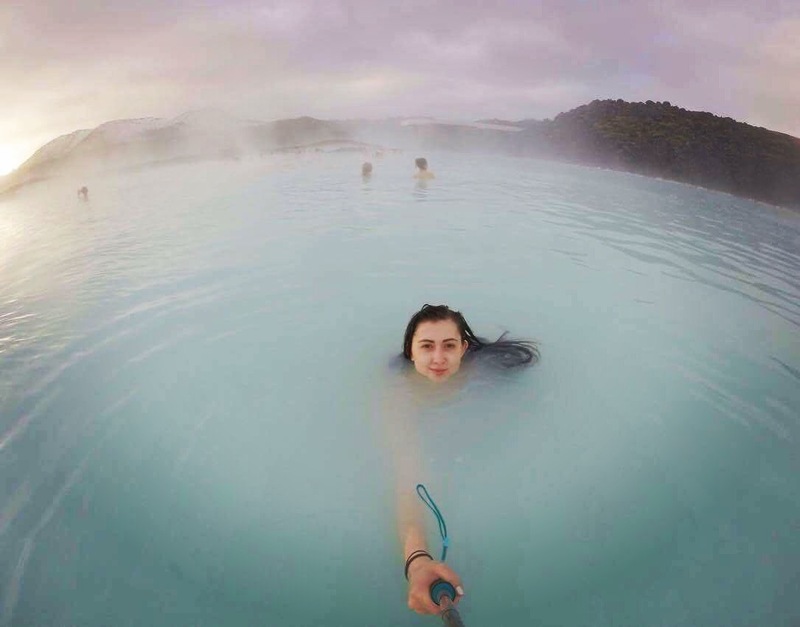 Take your go pro or underwater camera and you’ll get some great photos. The mud masks were hilarious, but pre warning, you have to wash it off with the silica water- this then drops to the bottom so occasionally you’ll walk through thick mush that sticks to your feet. It feels gross but the experience is worth it! We spent about 3 1/2 hours there then decided to head back. I would gladly go again- it’s up there on my favourite places to go. 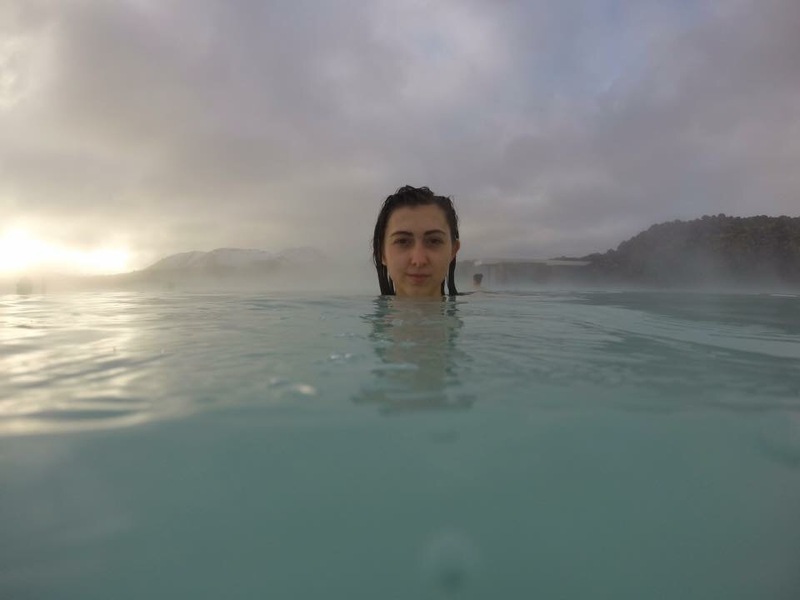 This post only makes me want to go to Iceland more than ever!